New Zealand has suffered its first combat fatality in the war in Afghanistan, the New Zealand Defense Force reported Tuesday. [Update: August 4, 2010] Gen. David Petraeus on Wednesday issued a new "tactical directive" for forces in Afghanistan that emphasizes guidance for the use of force by troops operating in the country. The directive states that before firing, the commander authorizing a strike must determine that there are no civilians present. If the status of civilians is unknown, firing is prohibited except when certain types of risk to troops exist. The Obama administration is looking to turn crisis into opportunity, hoping its robust response to the devastating floods in Pakistan will help improve its poor image among a skeptical Pakistani public. 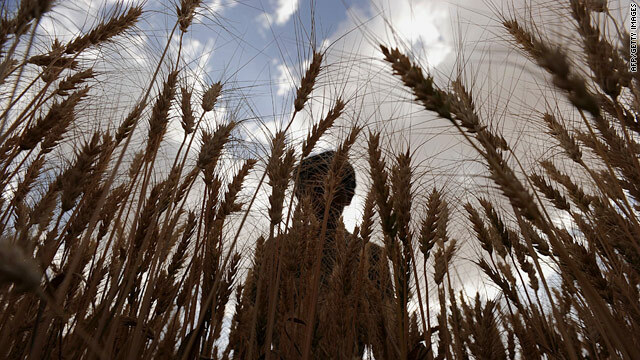 In central Afghanistan, in Bamiyan, it's time to harvest the wheat for many farmers and families. Bamiyan is about 120 miles northwest of Kabul and stands in a lush valley that stretches more than 60 miles through central Afghanistan. The valley is on the former Silk Road that once connected China with Central Asia and beyond. The town was once home to two nearly 2,000-year-old Buddha statues that were destroyed by the Taliban in 2001. They were the two tallest standing Buddhas in the world. In addition to destroying the Buddhas, the Taliban also entered the Kabul Museum wielding sledgehammers and smashing 2,500 priceless artifacts stored there. A group of Taliban insurgents launched an apparently unsuccessful attack on a major NATO base in Afghanistan Tuesday, according to international forces.